Aren’t Taxes a pain? Especially when they keep piling on and it seems no relief is in sight. Well we have something for you that may makes it almost painless and that is through the Property Tax Exemption (PTE). MACC Development is in the fight to help residents in the 48214 to stay in their homes. Last year 158 Homeowners in the 48214 applied for property tax exemption in 2018, meaning they did not have pay, and were exempted from 2019 property taxes. 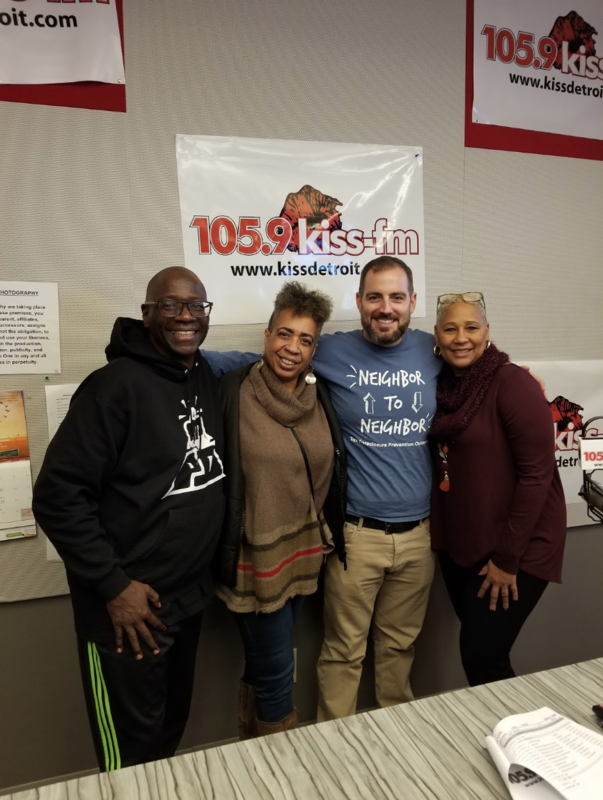 Edythe Ford, MACC Development and repping the 48214, with Mason, informing Detroit homeowners on the PTE and how to save your home. This year we are back again hosting FREE Property Tax Exemption Clinics in 2019. These exemptions can help you save some of your hard earned money paid in the form of property tax. Now we are starting again for 2019, every 4th Tuesday of the month, 2 pm - 7 pm, at The Commons, MACC Development is hosting our monthly FREE Property Tax Exemption Clinics. The exemption stops the pile on of back taxes and interest, allows you to catch up with your tax bill or use the money for something important, like fixing your home. We help you complete the application, notarize, and provide a self addressed stamped envelope, ALL FREE. The Commons One Year Anniversary! The Commons celebrates are one year anniversary this month and it’s been a blast. Awards, recognition, people coming from all over the world to see our project in the hood!! We are so happy to be an anchor in our community. Our greatest reward is being a place for old skool Detroit and new neighbors to meet, have coffee, and wash clothes together. 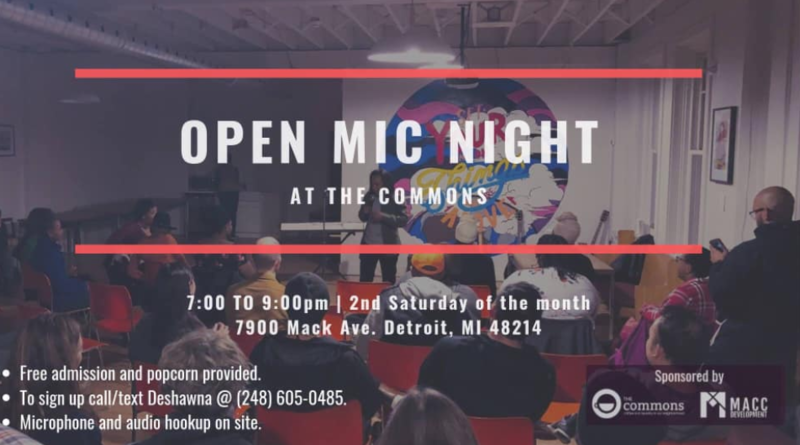 Stop by for Open Mic Night every second Saturday at 7 pm, a neighborhood community meeting, or African Stortytelling, Men’s Bible Study and more! No need to go downtown, it’s all here in the hood. The Commons is the ultimate gathering spot! We rent space for parties, meetings, concerts and more. View our space rental information at maccdevelopment.com/space. Contact Edythe at edythe@mackave.com or 313.731.2037 to discuss your next event. We hope to continue to be humble servants to our neighbors in 2019. Thanks for your support as we venture into year 2!